For many, living in close proximity to terrifying and often deadly creatures is just part of life in Australia. But one mother has had a double dose of scary after finding both snake skins and a giant spider lurking in her garden. 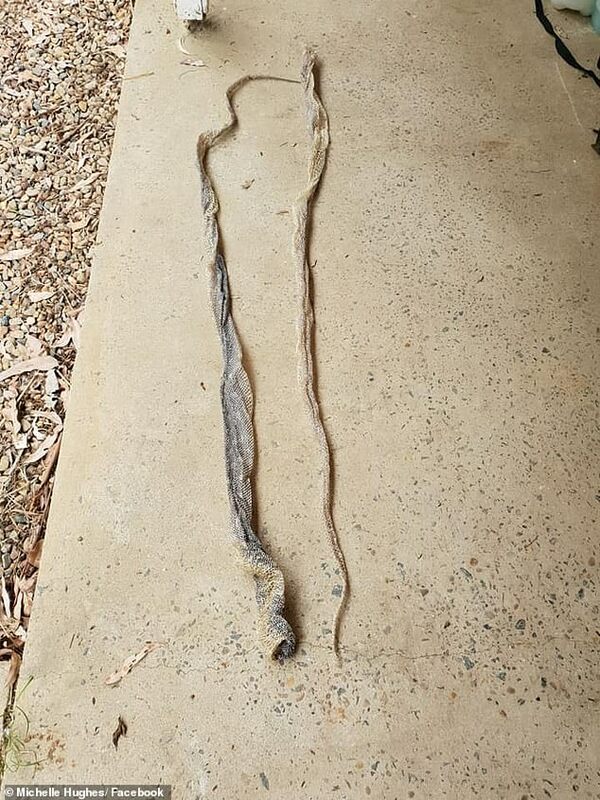 Michelle Hughes, from New South Wales’ Central Coast, pictured her discoveries in an online thread showing two two-metre-long python skins alongside a thick-legged spider. However, it was the arachnid which captured the Internet’s attention and left one woman guessing whether she had seen the spider somewhere before. ‘Looks like Aragog to me,’ she wrote in reference to the Harry Potter franchise’s giant spider with a penchant for human flesh. 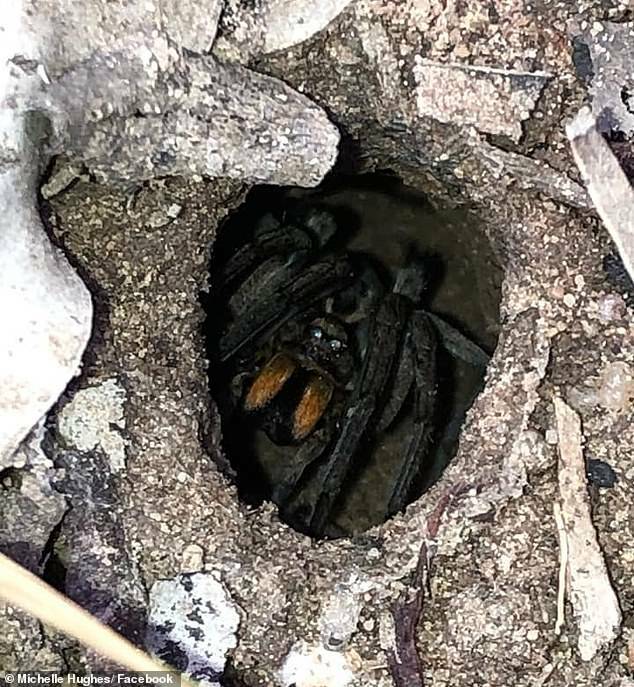 Found while weeding in her garden, Ms Hughes admitted she was unsure which type of spider her discovery was but believed the snake skins were from diamond pythons. Among commenters’ top suggestions was a wolf spider, a funnel web spider and a trapdoor spider. Other users imagined what they would have done if faced with a similar predicament. ‘That spider is absolutely terrifying, I’m not sure I’ll be cut out for off the grid life,’ joked one city slicker. However others were quick to rebut, saying the type of spider was actually beneficial to those it neared. ‘Sure, they’re ugly and frightening but we should leave them alone to do their natural insect control,’ wrote another woman.